They are not different. 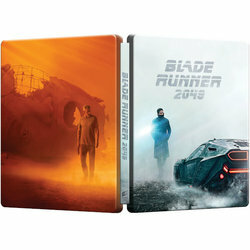 It’s exactly the same steelbook. I have never received German versions. They are al being shipped from Zavvi UK. When ordering I use the WELCOME346 link and the code DEZ12 to get 12% discount. 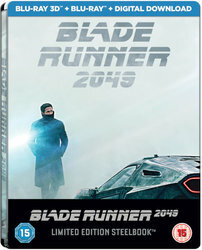 Ordered the HMV 4k copy. For an extra £5, too good a chance to miss, plus you get 3d disc with it. So if ordering from germany its Sent from Uk just as if i was to order from uk Right?thats what i thought as only zavvi. I've gone with HMV's for now, but could be tempted to order this as well if the final artwork is decent enough. I can already tell this movie is going to cost me a fortune... got my eye on three editions as it is and it's not even out in cinemas yet. Thank you. Wow. All this time I didn't realize that. I thought it was like Amazon.de. However I don't believe the WELCOME346 code works anymore. It expired at the end of September. Strange. I got the DEZ12 code to work but I can't get the WELCOME346 code to work on the UK or .DE sites. Ah, misunderstanding from my side. I haven’t tried the actual WELCOME346 code, only DEZ12. Wow that's a hefty price! That's Ok. Apparently we don't need it anymore. I hope. This is being sent to australia so no tracking anyway and does not matter about customs as does not affect me here of that value. Im taking they use the same white box packing or is this just a hit or a miss what its sent in? I did get code to work but not the welcome346 or even welcome code just the DEZ12 worked for me. Its a little saving so anything helps just hope exchange rate is on my side against aussie dollar then. All I know is that it only works at the Zavvi.de site and that they deliver to Canada. All you can do is try it, right? I think this will work. You have to try. In the beginning I have created a Zavvi NL account with a German delivery address and this was no problem at all.